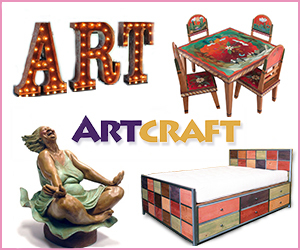 Many of the items we carry at Artcraft Online will gain attention from guests. They’re colorful, different, and built with the sort of attention to detail that sets them apart from mass-produced imitators. But even among our collection, the work of Artist Paul Carbo stands out as unmistakable conversation pieces. From Jerry Garcia to Buster Keaton, Carbo has constructed incredibly detailed and wonderfully imaginative cabinets that are not only conversation starters, but also serve as functional pieces of furniture. They are built to have plenty of shelf space, and constructed with solid techniques to ensure longevity. The whimsical feeling these pieces impart is hard to duplicate, and countless happy customers have found homes for Carbo’s unique cabinets. Paul Carbo’s choices for characters cover a wide spectrum of personalities and historical eras. 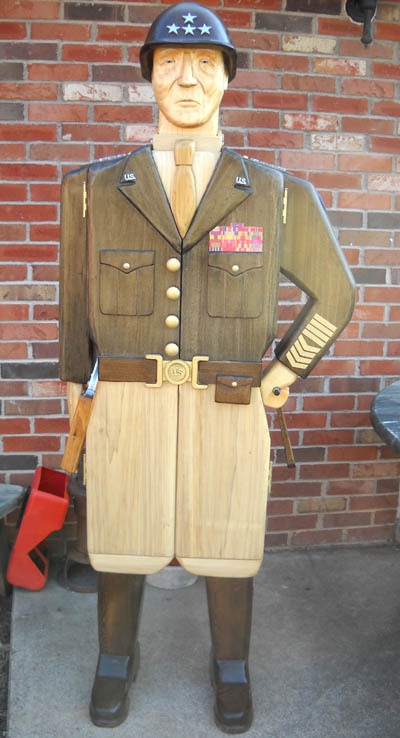 So when our custom design center worked with a new client who was dying for his cabinet to bear the likeness of General George S. Patton, Carbo got right to work. The details are fantastic; from the stern face and intimidating pose, to the stars on his helmet and the revolver by his side, Carbo nailed the request for General Patton. 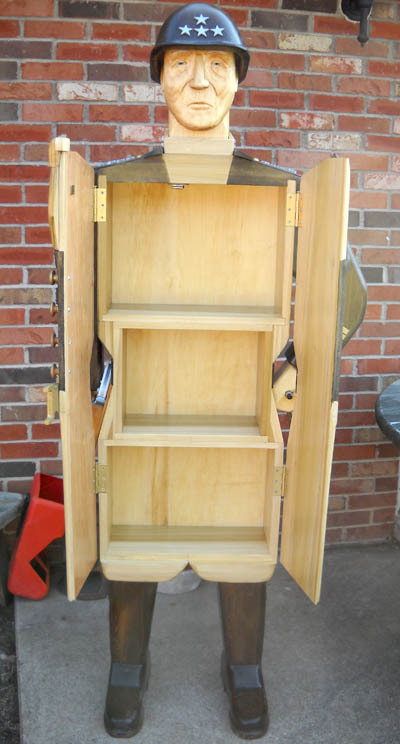 Patton’s coat opens up to reveal three large shelves, perfect for storing books or memorabilia. The whole thing was carved, assembled, and painted in Carbo’s workshop in West Virginia. If you’re interested in a unique piece from Paul Carbo, take a look through his work available from Artcraft Online. Ideas for custom furniture can be worked out with the professionals at our custom design center. They’ll work with you and the artist to bring your vision to life. Custom pieces of art are a unique and unforgettable gift for any occasion. If you could get a Paul Carbo cabinet in the likeness of any person, who would it be? Take a look at his collection for inspiration, and let us know who you’d have made on Facebook or Twitter! Artcraft Online’s Newest Artists: Moxie and Oliver!